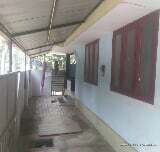 Description 3 bhk house for sale at maradu. 4 cent-1000 sq. Ft-60 lakhs. Please mention that you saw this ad on PropertyWala. Com when you call.